Your liver really goes through a lot. As you go about your day, your body constantly comes into contact with toxic substances. Everything from the air you breathe to the food you eat and even the products you put on your skin can cause your body to become overrun with toxins and heavy metals. This makes your liver work overtime to try to clean your blood as much as possible. 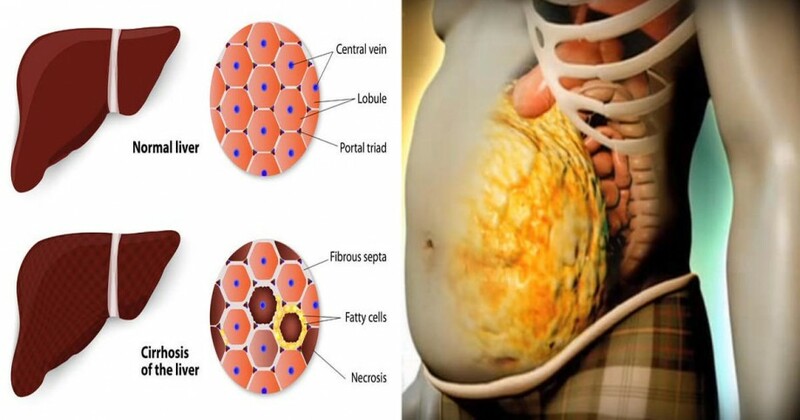 When this task becomes too much to bear, the organ diverts toxins into your fat cells, making you fat and sick. If you’ve been feeling under the weather lately or you live in a town with high air or water pollution, try the following 5 herbs. Your liver will thank you for it. Milk Thistle is a respected treatment for alcoholic hepatitis, viral hepatitis and alcoholic cirrhosis. The herb also improves liver function and increases survival in people with cirrhosis or chronic hepatitis. It even protects the liver from toxins, mushroom poisoning and drugs like acetaminophen. 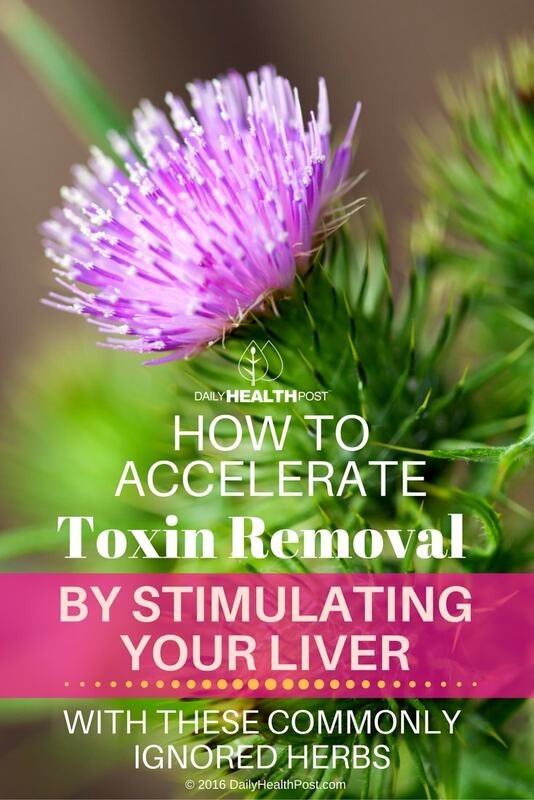 One compound found in this thistle, silymarin, stops cancer cells from dividing and reproducing, shortens the lifespan of cancer cells and reduces blood supply to tumors (1). This root has extensive medical history in ancient Roman, Persian, Arabian, and Indian tradition. It was commonly used to help cure jaundice, gallbladder and liver stones and protect the liver. It’s also used to fight inflammation, cancer urinary stones, constipation, indigestion, depression, and headaches (2,3). Blessed thistle is a bitter tonic often used to prevent gas and bloating caused by fatty meals. It promotes detoxification by increasing urine and sweat production. It also helps the liver repair itself and supports the liver’s own detoxification and regeneration processes (4). Watercress feeds your liver with vitamin A, K, D, E and several B vitamins, iron, potassium, protein, calcium, Omega-3 Fats, iodine and fiber (5). One study from the University of Illinois discovered that glucosinates, a compound found in watercress and other dark leafy vegetables, allows the liver to detoxify cancer-causing carcinogens (6). This herbs is used for its laxative effects, with occur through an increase of mucous and water into the intestine. This effect can also increase nutrient absorption and reduce inflammation. It’s even one of the main ingredients in cancer-fighting Essiac tea. In fact, a Hungarian study found that the Sheep Sorrel herb, and a number of its Sorrel relatives, demonstrated substantial cell growth inhibitory activity in multiple cancerous cell lines (7,8).